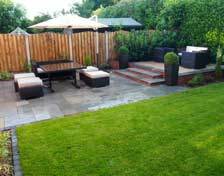 Marshall’s Landscaping is a family run garden landscaping business operating in Wakefield and the surrounding area. We are passionate about gardens and our customers benefit hugely from the fact that our business undertakes purely residential projects. Without the pressure of large, monotonous contract work, our team’s complete focus is on providing a personal service at very reasonable prices. And why have we chosen to target our business in this way? It’s simply that the varied nature of this type of work requires a large range of skills and keeps our team more interested and passionate about the specialised work that they do. We are proud of our team and they are well-respected in Wakefield. 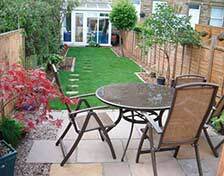 They are polite, helpful and approachable landscapers who you will happily have working in your garden. They work to a high level of detail, and appreciate constructing fabulous gardens for delighted customers. If you live in Wakefield or areas nearby and would be interested in obtaining a quote from us, please feel free to contact us via the details on our contact page. 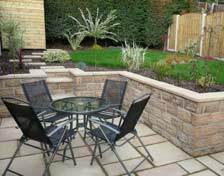 We will visit your garden as soon as we can to discuss the project you would like to undertake, whatever the size, and provide you with a thorough and reasonably priced quote.